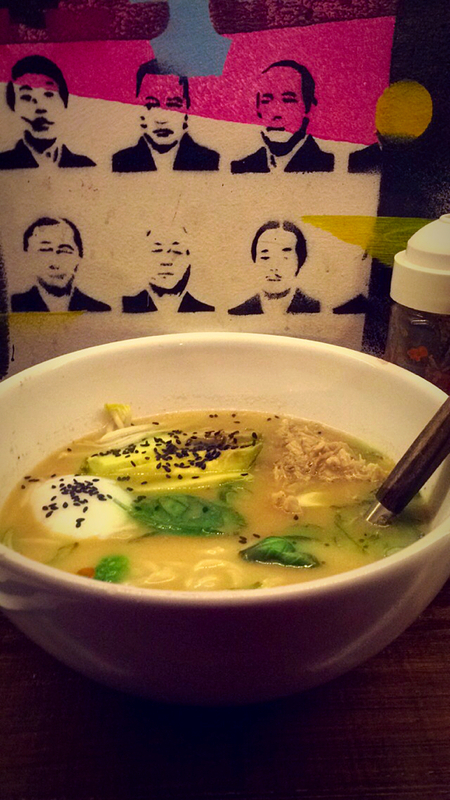 Having spent my last summer in Seoul, South Korea, I developed a huge ramen obsession. While ramen is usually associated with fast food, and sold as instant noodles, it is also a somewhat gourmet phenomenon, with ramen bars popping up all around the US and Asia, all serving fancy versions of the popular noodle dish. 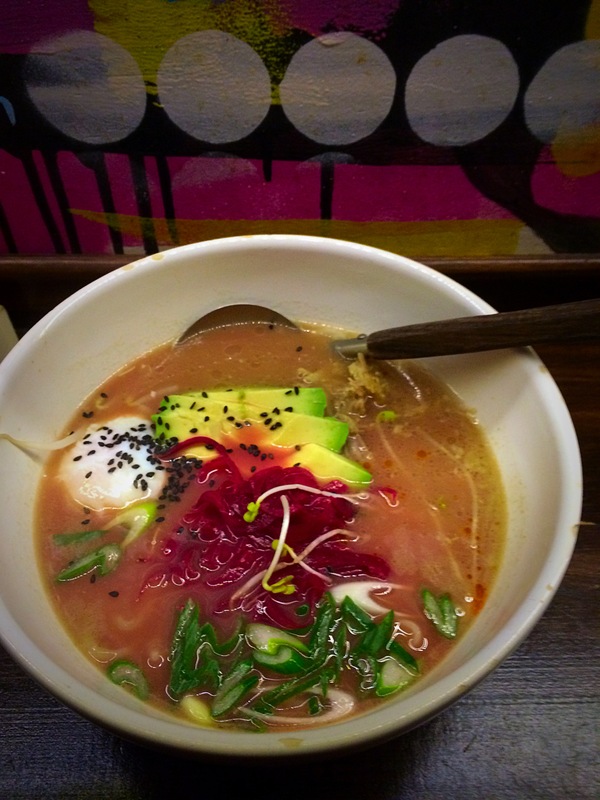 So no wonder I was delighted when I crossed Fukuro Noodle Bar in Palermo Hollywood. Since I gave up my quest for authentic Asian food within my first 2 weeks of being in Buenos Aires, you can probably imagine my joy when I came across this gem. 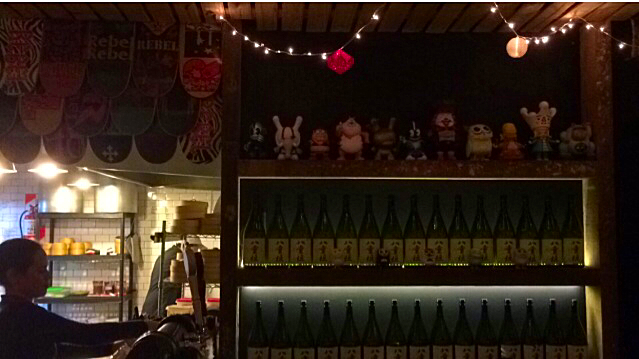 Adorned with countless Sake bottles, kitschy pop art on the walls with pictures of Mao Zedong and other folks, Fukuro Noodle Bar doesn’t compromise on style. The entire restaurant has bar-style seating, with no normal tables or chairs. This gives the place a ton of character, and the bar style seating is actually more fun since we ended up meeting some pretty cool people when we were there (mostly expats). 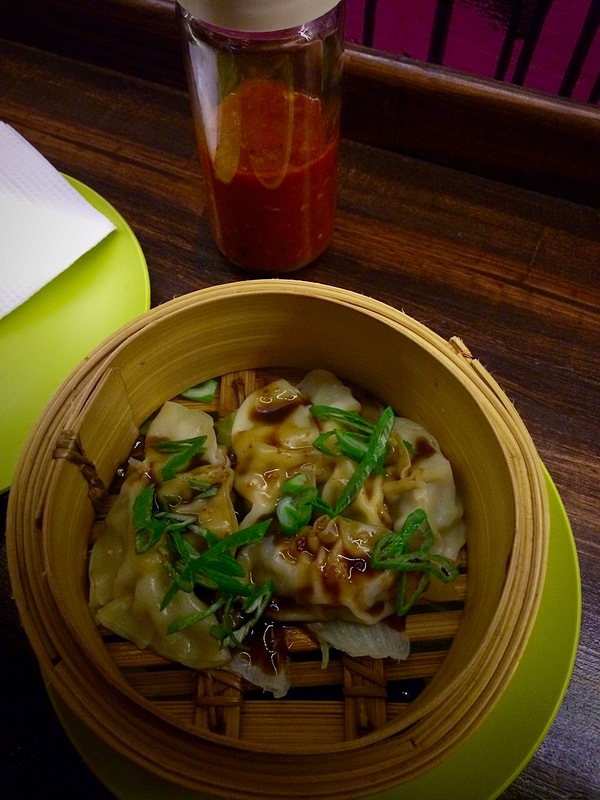 We started with a “piggy style” gyoza, which was really good. It had pork (well, obviously) and garlic, ginger, scallions and jalapenos. The classic asian flavors, combined with the heat of the jalapenos, made for a really interesting flavor profile. We then ordered an Akamiso ramen, which had pork belly, pork broth, bean sprouts, an organic poached egg, pickled beets, and other really yummy stuff and a curry ramen, which also had pork belly, but a curry broth. The curry ramen wasn’t on the menu since it was a daily special. Both were excellent. Being huge avocado fans, we added avocado to both the ramens, but since the Akamiso had more ingredients than the curry ramen, it was slightly more interesting. Despite being “spicy,” neither of the ramens were actually spicy, and we needed a generous helping of their spicy sauce to add some heat to our dishes. Nevertheless, the real gems were the actual noodles, which seemed hand rolled to me–a huge upgrade from the instant noodles I’ve been eating here. Overall, the food and service was really great! We were too filled up to order desert, but we heard that they make a killer ice cream sandwich, similar to the famous one at the Momofoku milk bar in New York. GOOD ASIAN FOOD IN BUENOS AIRES! !